For the upcoming 2019 model year, Kia has performed a drastic and far-ranging overhaul of the compact Kia Forte sedan. Not only does the new compact sedan have a new and aggressive exterior, but several systems have been updated to meet customer demand as well. A comparison of the 2019 Kia Forte vs. 2019 Honda Civic will show just how much the Forte has improved for the new model year. The Civic has been pretty comfortable in its position within the class, but once the 2019 Forte arrives to dealerships like Spitzer Kia Cleveland, buyers will be able to see that the gap has been closed. The 2019 Kia Forte is scheduled to arrive to dealerships around the country during the third quarter of 2018. Customers can start the pre-ordering process with a Spitzer Kia Cleveland sales professional today by calling, (216) 259-7081. 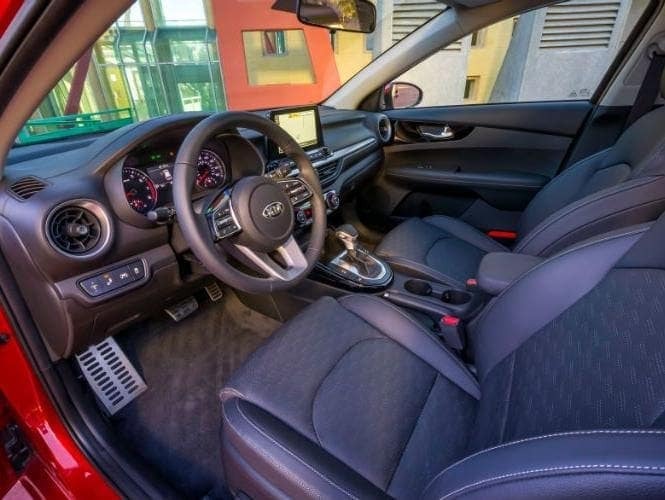 Two of the main areas of improvement Kia engineers focused on with the 2019 Forte is overall fuel economy and practical usability. By employing a new chassis architecture, coupled with a new design for the unibody of the 2019 Forte, the automaker has been able to increase the maximum available trunk volume to 15.1 cubic-feet. This matches what is available with the Honda Civic. 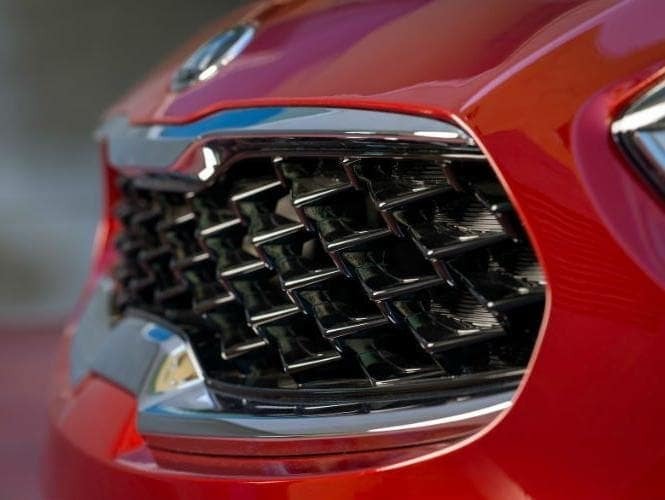 Also, a few exterior element proportions have been borrowed from the new Stinger sports coupe to give the 2019 Forte a more aggressive stance on the road. Both vehicles offer an infotainment system that is compatible with both Apple- and Android-based applications. However, all trims of the 2019 Forte are equipped with an 8-inch touchscreen interface. 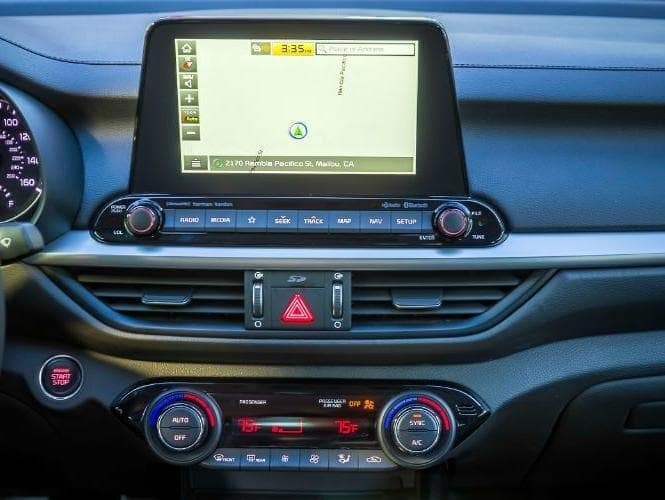 The largest available touchscreen in the Civic is 7 inches and smartphone application compatibility isn’t available on the entry-level trims. 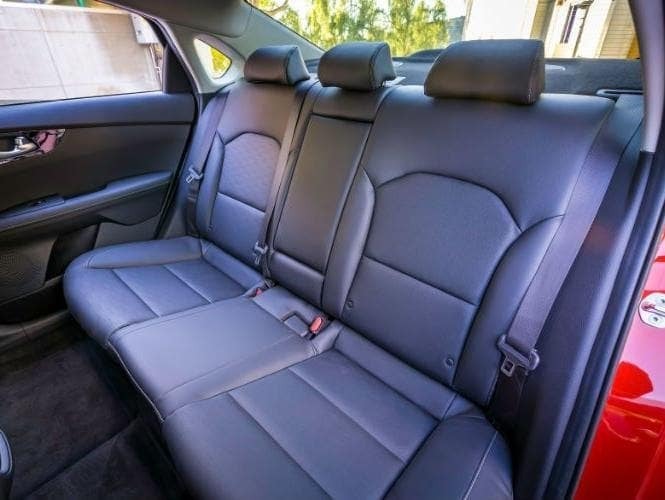 The 2019 Kia Forte uses a single engine option across all of its trim grades. Under the hood of the new Forte is a naturally aspirated 2.0-liter, four-cylinder engine that makes 147 horsepower and 132 pound-feet of torque. It can be mated to a six-speed manual or a continuously variable transmission. Official fuel economy scores from the Environmental Protection Agency have yet to be released, however, current estimates place the combined city/highway score for the 2019 Forte at 35 miles per gallon. The best corresponding scores from the Honda Civic come in at a combined 32 miles per gallon.